Play the role of a taxi driver and undertake various missions against the clock in this fast-paced driving game – Drive Town Taxi! Collect cash along the way and ram other rival drivers! Drive fast and reckless to satisfy your customer’s need for speed. Drive Town Taxi is a top-down driving and taxi simulation video game where you must drive your car around while picking up customers and passengers who need a ride. The game features dozens of levels that you can complete. The goal of the game is to follow the guide arrows and complete the quest as fast as possible. The faster you complete the quest, the bigger your score will be. 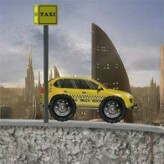 Try to get the gold rank on all levels to prove your taxi driving skills! Good luck! There have been 549 plays and 9 likes from 9 votes (100%) since 23/06/2017. 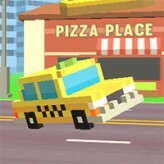 You are currently playing Drive Town Taxi game for free on Arcade Spot. It is a single game out of a variety of games that you can play on Arcade Spot. 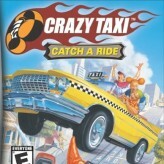 Play more games like Drive Town Taxi in the Action, Driving, and Simulation gaming categories. This game has a rating of 100 out of 100 based on 9 user ratings. If you enjoyed playing the game, give it a thumbs up. Free Online Games and Arcade Games are added every day. Arcade Spot will bring you the best games without downloading and a fun online gaming experience on the internet.